In 27 WAGONS FULL OF COTTON, after Jake, a shady, middle-aged cotton gin owner, burns down rival Silva Vicarro’s mill, Vicarro attempts to enact vengeance by seducing Flora, Jake’s delicate young wife. In 1976, Meryl Streep was honored with Outer Critics Circle and World Theater awards and Drama Desk and Tony nominations for her performance as Flora. In KINGDOM OF EARTH, a flood is surging in the Mississippi Delta, and Chicken’s property is only safe until old man Sikes down the road dynamites his levee to save himself. While Chicken waits alone in his kitchen for the inevitable blast, he receives an unexpected visit from his dying half-brother, Lot, and Lot’s wife of but one day, Myrtle. Leaving Lot upstairs to rest, Chicken assesses Myrtle as a potential threat to his inheritance of the estate, currently under Lot’s name. Chicken and Myrtle find common ground but not even footing in their similar experiences of the inescapable hardness of the world – two “lost, sinful, puzzled” souls falling into a familiar power dynamic and bracing themselves as the waters rise. Estelle Parsons’s 1966 performance as Myrtle garnered a Tony nomination for Best Leading Actress. Tennessee Williams’s work changed the landscape of American theater. 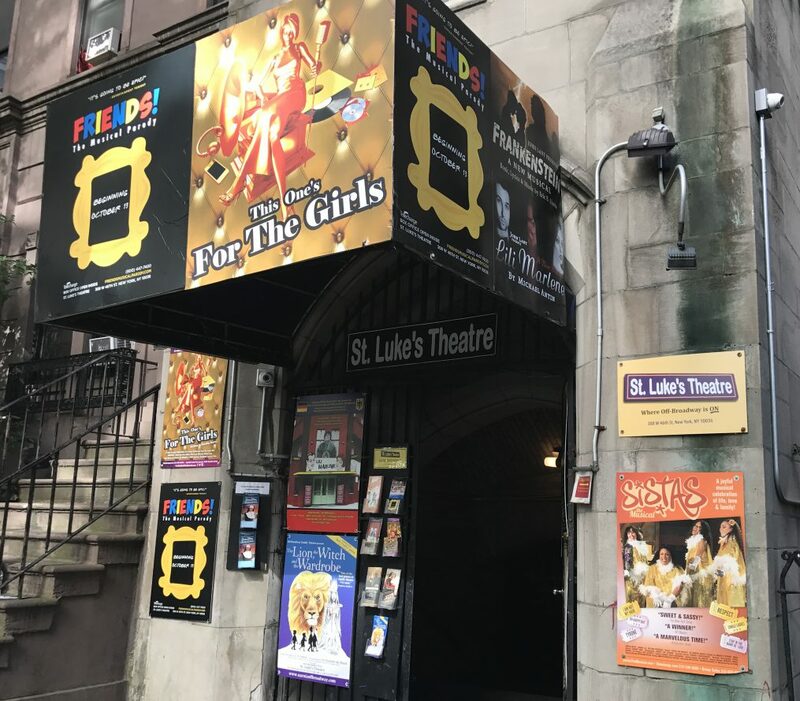 This evening of his short plays will perform in the heart of the NY Theatre District, opening for the summer season. Executive Producers Roy Nevans and John Lant, in association with Edmund Gaynes, are pleased to present 2 By Tennessee Williams: 27 WAGONS FULL OF COTTON and KINGDOM OF EARTH, a limited engagement directed by Marilyn Fried and starring Kathryn Luce Garfunkel. Featured in the cast are Anthony Alessandro, Jim Biberi and Mike Keller. The creative team includes Liz Stearns (Associate Director), SKS Theatrical Marketing (Marketing and Promotions), Tim Secrest and John B. Forbes (Lighting Design), Hunter Dowell (Costume Design), Jessica and Jennifer Davison (Sound Design), and Meagan Parker (Set Design). Tennessee Williams was an American playwright and author of many stage classics. Along with Eugene O’Neill and Arthur Miller he is considered among the three foremost playwrights in 20th-century American drama. After years of obscurity, he became suddenly famous with The Glass Menagerie (1944), closely reflecting his own unhappy family background. This heralded a string of successes, including A Streetcar Named Desire (1947), Cat on a Hot Tin Roof (1955), and Sweet Bird of Youth (1959). His drama Streetcar Named Desire is often numbered on the short list of the finest American plays of the 20th century alongside Long Day’s Journey into Night and Death of a Salesman. Much of Williams’ most acclaimed work was adapted for the cinema. He also wrote short stories, poetry, essays and a volume of memoirs. In 1979, four years before his death, Williams was inducted into the American Theater Hall of Fame. Please follow us on Twitter to be notified when reviews are posted. 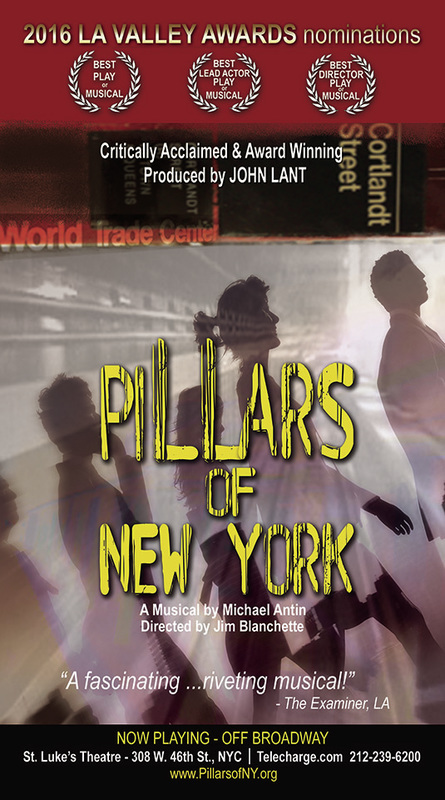 Write Act Repertory’s Producing Artistic Director John Lant is pleased to present the East Coast premiere of PILLARS OF NEW YORK, a new musical with book, lyrics and music by Michael Antin, and directed by Jim Blanchette. PILLARS OF NEW YORK is the story of four couples’ personal struggles with the events surrounding the 9-11 tragedy. As the mental and physical recovery for the couples plays out, therapist and author Jake Kelly evaluates his own personal loss and mortality through the exploration of their stories. These stories are the fabric of the true Pillars of New York; the pillars who comprise the tapestry of the human condition through tragedy and triumph. The critically acclaimed Los Angeles production of the musical was nominated for three Valley Awards (Best Play or Musical; Best Director: Play or Musical; and Best Lead Actor: Play or Musical). PILLARS OF NEW YORK has been praised as being “a fascinating often riveting musical” (The Examiner – Los Angeles), “smart, witty, bold and relatable” (Diane Williams – Noho Arts), and “a gem” (Rich Borowy), with a cast who are “excellent in their vocal presentations” (Tolucan Times). The creative team includes Rocco Vitacco (Musical Direction and Arrangements), SKS Theatrical (Marketing and Promotions), John B. Forbes (Lighting Design), and Tim Secrest (AV & Visual Design), Hunter Dowell (Costume Design), Jessica and Jennifer Davison (Sound Design), Meagan Parker (Set Design), Casting by Tamra Pica Casting. Under the artistic leadership of John Lant since 2003, Write Act Repertory has produced over 30 Mainstage and 75 original one-act plays in Los Angeles and New York City. Write Act Rep is dedicated to the development of original plays, lesser known works by established writers, adaptations of classical-themed materials and musicals. Write Act Rep also produces rarely seen works and unfinished musicals by composers who passed before their work was completed.